There are many reasons why you might consider a no appraisal refinance. To start, appraisals can be expensive. They also require some legwork ahead of time to get your house’s exterior and interior in tip top shape. If a glitch happens throughout the process, it could throw a wrench in your refinancing plan, making the process stressful. There are also many reasons why an appraisal would make sense, too. Let’s dive into the ins and outs of no appraisal refinancing. A home appraisal is an estimate of a home’s value based on market conditions. Appraisals are used during the refinance process as an objective way to assess a home’s market value. They assure lenders that a borrower’s home is valuable enough to act as collateral for the loan. What is a refi with no appraisal home loan? When a lender talks about a refinance free appraisal loan, what they are referring to is a no appraisal refinance packaged with certain additional benefits. Also called no-cost refinancing loans, these loans not only let you refinance without appraisal but without any upfront costs either. Refinancing with no appraisal is achieved by amortizing points and other loan fees into the mortgage itself. This allows the cost of the appraisal to be spread out over the life of the new loan. This method means the borrower can save money on refinancing and the lender gets to enjoy the slow trickle of extra money in each monthly payment coming in, with interest. If a borrower can afford to pay closing costs up front, they save themselves even more money on the no appraisal refinance over the long term. Homeowners typically choose no appraisal refinancing if they may become ineligible to refinance after an appraisal – this could be the case of a homeowner’s property value in underwater. There are, however, other caveats that make a no appraisal refi attractive. One benefit of a refi without appraisal is that you do not have to spend time and money to prepare for and order appraisal. Appraisals fees can cost around $400, which can be an expensive price to pay up front. If you are refinancing to save money through lower monthly payments or interest, coming up with this extra cash may not be in your budget, either. If your lender does not have to wait for the appraiser to visit your home and complete an appraisal report, your refinancing loan may also closer faster. Appraisers may find the value of your home is significantly lower than you (and perhaps your lender) anticipated. If you’ve seen homes in your neighborhood that have gone through foreclosure or put up as a short-sale, it could affect the value of your home. Having a negative valuation from your appraisal may limit the amount of refinancing products available to you. A refinance without appraisal also eliminates this risk, which could be catastrophic depending on the investment you put into prepping your home. Fannie Mae streamline refinance without appraisal loans and other mortgage refinance without appraisal packages have other benefits. Most of them come with relaxed qualification standards, making it easier for you to qualify for a refinance even if your debt-to-income ratio is tight or if you have less than perfect credit. In fact, many of these programs will approve you even if your credit score is in the 600’s. Some homeowners may not need to go through the appraisal process, but they could find it’s in their best interest to go through the process anyway. If you currently pay private mortgage insurance, you’ll likely still be on the hook for this fee after your refinance, if you don’t get an appraisal. The only way to get around PMI is if the actual market price of the property is higher than what the lender assumes, and your loan is less than 80 percent of the home’s true value. The best way to discover and articulate your home’s true value is to order an appraisal. If the loan-to-value ratio is too high, this could be a red flag for your lender who may wind up charging you a higher mortgage rate to make up for increased risk. An appraisal may show a lower loan-to-value ratio, which means a lower interest rate, and potentially lower monthly payments. If you suspect your lender has estimated the worth of your home incorrectly, ordering an appraisal could be a wise decision. The higher your valuation in an appraisal the more refinancing products, and money-saving opportunities become available for a homeowner, too. Appraisers may also take market trends into consideration when placing a value on your home, especially if they are very familiar with your neighborhood. Lenders, especially at commercial banks, won’t always do this. Of course this practice could be for the better or worse, but by keeping an eye on the trends in your area, you may find you could be benefitted by using an appraiser. Homeowners not eligible for a streamline program, such as the Fannie Mae or an FHA, may find ordering an appraisal is the only way to get a new, or cost-effective loan approved. You should not need to get an appraisal. While you can include closing costs in the loan, you cannot take cash out for remodeling or otherwise. The refinancing should leave you better off by either reducing your monthly payment, moving you to a shorter-term loan, or transitioning you from an adjustable to a fixed-rate mortgage. While lenders can impose some underwriting requirements including a review of your credit score, the qualification standards are relatively lax. Needless to say, these refinance no appraisal loans represent an excellent way for many homeowners with an FHA, VA or USDA loan to take advantage of favorable interest rates. The Home Affordable Refinance Plan (HARP) lets homeowners who have Fannie Mae or Freddie Mac loans refinance regardless of how much they owe on their homes. The HARP 2.0 program allows anyone with a Fannie or Freddie mortgage to refinance their loan regardless of their property’s value. And no more than one late payment in the preceding six months. Otherwise, as long as you took out the mortgage that you will be refinancing before June of 2009, you should be able to take advantage of this program. If you’ve ordered in appraisal in the past, can you use it again? Appraisals are meant to show the value of your home in real time, which means there is a limited period of time your appraisal will be valid for. You won’t find an expiration date written on your property appraisal, but as a general rule of thumb, most lenders will not accept an appraisal that is more than 120 days old. Some allow up to 180 days. If you have an FHA loan you can ask for extensions for your appraisal expiration, usually in 30-day increments. Other lenders will allow appraisals to be extended for 90 days. Most appraisers can recertify your appraisal, within a reasonable timeline, for a reduced fee. Is refinancing without an appraisal right for you? As with anything in the mortgage realm, making the appropriate refi decisions depends on you. Everyone’s situation is different so it’s important for you to shop around and ask yourself some questions. How does the market forecast look? Have my neighbor’s selling patterns affected the value of my home? How much money will I need to put into my home before ordering an appraisal? Can I qualify for a loan without an appraisal? Even the amount of equity you have in your home will change the outcome of this decision for you. It’s always best to consult with a professional when making a lending decision. Most lender will be happy to help you decide what path will fit your financial situation best. 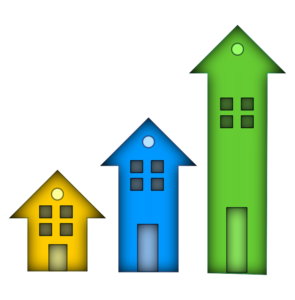 Previous post: What is the average cost to refinance a mortgage?